Since I was a child like any other kids then, Sponge Bob Squarepants was one of my favorite cartoon shows and character too. This year, Paramount Pictures and Nickelodeon Movies partnered to produce a film entitled “The Sponge Bob Movie: Sponge out of Water”. This movie talks about a pirate who stole the secret formula of the well-known Crabby Patties and how SpongeBob and his friends did to recover it. As I continuously watched the film, I was shocked that Illuminati’s are part in the making of this film. Sponge Bob and Plankton created a Time machine to travel backwards in time to get again the missing secret formula but when they tried it, the time machine portlets them in a mysterious place. 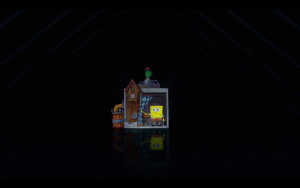 (Picture 1.1) The mysterious place that SpongeBob and Plankton teleported through the help of the time machine.